it was established in 1903 and figured it would be a good one for possibly catching something on camera! 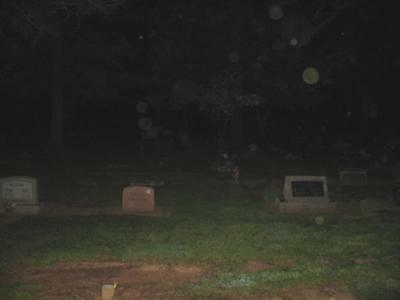 because we took a picture of my friend by the car and the orbs were not there and my those things have appeared in any picture ever! My cousin Lydia Evans once haunted this cometary. Her body has been moved recently so she may have left to her new home.